Our clients in Bristol initially employed an architect to draw up plans for a larger kitchen, but were not very happy with the results. After contacting our sister company Prime Oak and arranging a site visit, they were really impressed with the idea suggested by our designer, of combining Oak and Accoya. 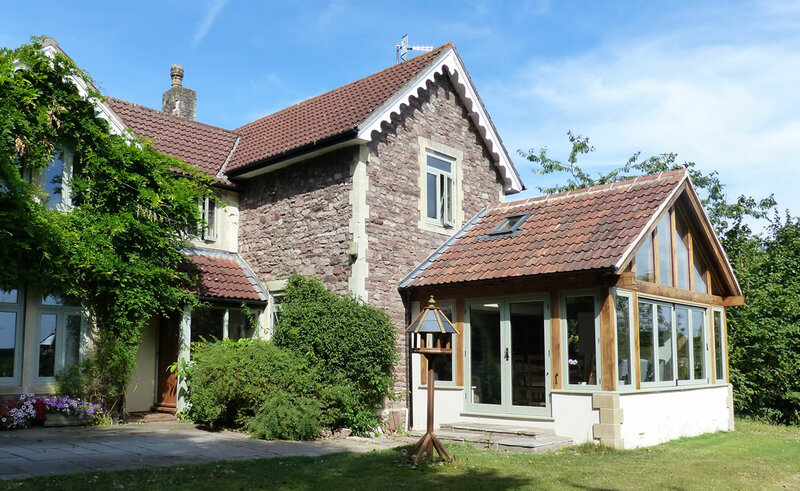 Whilst complementing the original property’s windows, charm and character, it would also offer a design statement by contrasting the oak against the painted timber. 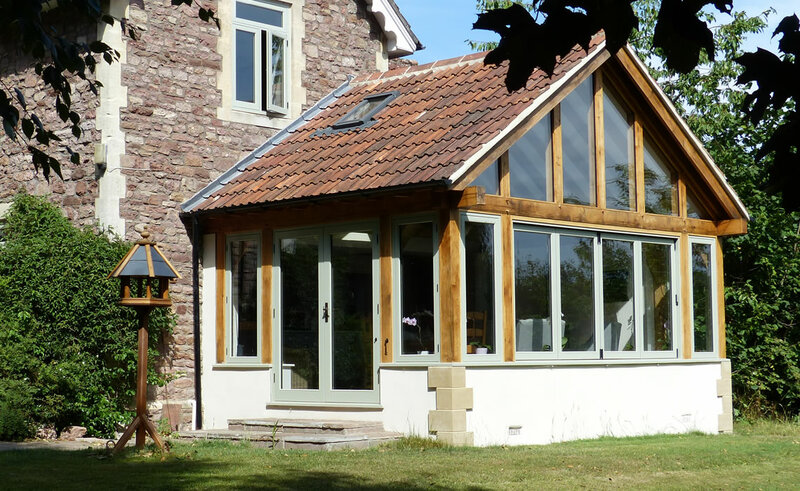 This beautiful garden room features a glazed gable allowing for maximum light to fill the room, whilst the fully tiled roof ensures the room is still protected from the sun, keeping the indoor temperature ambient all year. 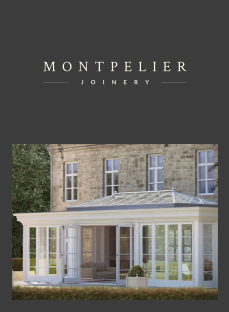 The bi-folding windows and French doors provide the much desired indoor-outdoor living experience and allow for panoramic views of their garden. The exposed oak rafters, Verdi Accoya joinery and bronze ironmongery create a stylish and charming room, which expresses the client’s personality throughout! The garden room stands out as a stunning feature extension whilst simultaneously subtly pulling together all the key features of the original property. 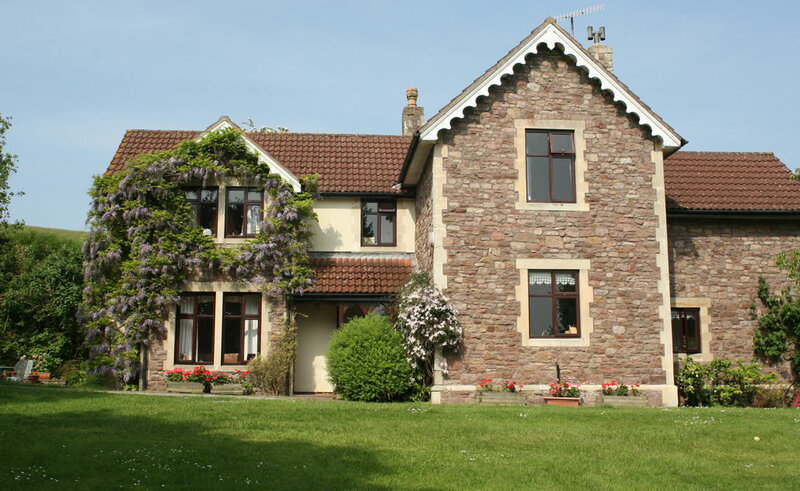 The dwarf wall echoes the property’s existing stone edged exterior, the colour of the windows and doors is reflected from the existing, and combining this with matching the roof tiles, it has produced a beautifully executed final result. The clients can’t imagine life without their garden room now feeling as though they have been living in their garden all summer long, the log burner also provides a cosy ambience during the winter months.